Hotel Yurmino "- a modern hotel and spa complex with 114 rooms (203 seats). The room - single and double, single and double "standard", semi-luxury, deluxe, duplex, luxury studio. 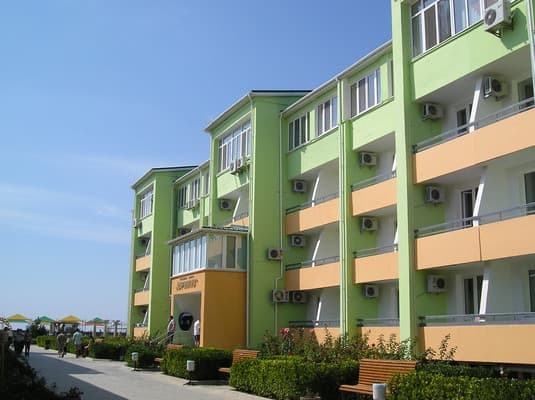 Rooms with all amenities - air conditioning, television, refrigerator, telephone, Internet connection. The hotel also offers meals in buffet or individual meals in the cafe. 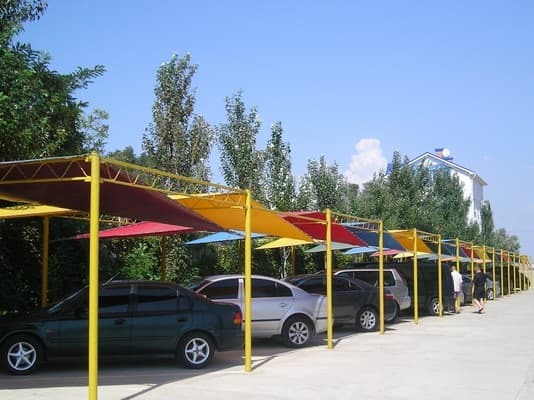 Developed area with tennis courts, playgrounds, minidendroparkom, children's pool with slide. Own equipped beach: sunshades, deckchairs, changing rooms, showers, rental, and so on. The complex also has a spa. Description of the room: This category is a wonderful economical offer for two guests. The rooms of this category have an exit to the balcony. 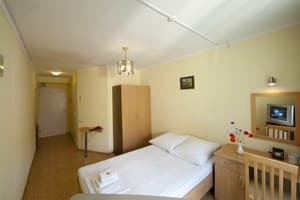 Description of the room: Accommodation in a room of this category is a comfortable accommodation for one guest, for two guests or for a parent with a child. The width of the berth is 1.40 / 1.60 m. Area - 16 square meters. 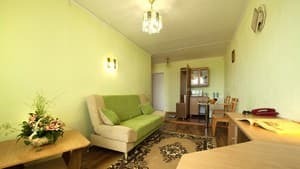 m.
Description of the room: The apartment is represented with two rooms, one of which is a cosy bedroom, the other one is a living room with a small sofa, A TV set, and a table. 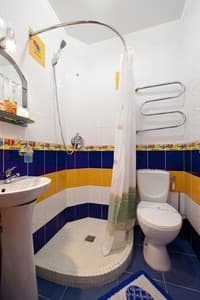 One can use a shower in the bathroom. This category of the apartment offers holidays for the whole family ( up to 4 people) or the accommodation of two of your guests is possible ( on the additional place - on the folding sofa). Description of the room: Al the rooms have an individual character and comfort. 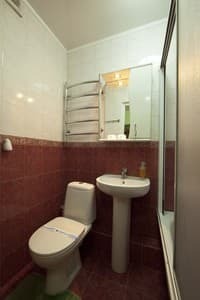 Bright, cosy premises, comfortable bathrooms allow You to make yourself at home. In our house You will meet cordial hospitality and friendly atmosphere. Description of the room: This category is notable for refinement and romanticism. All the things in the room are harmoniously combined with each other, and on the balcony one can endlessly enjoy an unusual freshness of the sea air, admire the boundless sea smooth while drinking a cup of coffe, tea or tasting filled with the Crimean sun fruit - and all these wiould be easy to cook, without leaving the room, in the personal kitchen, equipped with a set of tableware, a microwave oven, a fridge, an electric kettle. Description of the room: In search of the optimum place for rest are important not only metres, proximity to the water, but also the level of comfort, which we often short of in our everyday life. To Your attention we represent an apartment, in the bedroom of which would be pleasant the hours of sleep and rest, and You would be able to meet guests in a living room, which can also be used as a working study, where on the lighted working table would be compactly placed documents, a notebook computer. Besides, the lovers of the global net would have access to the Internet without any problems. The room is equipped with a mini-kitchen, a cosy bathroom with all the necessary attributes. 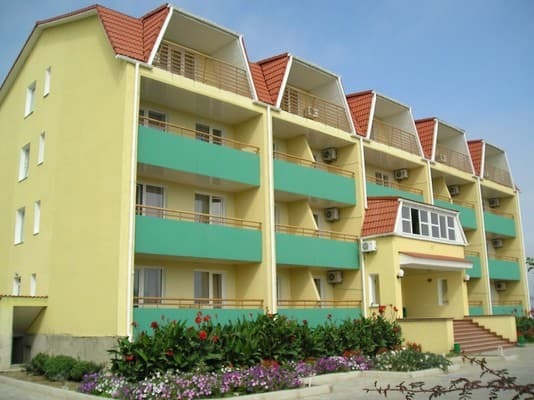 This category of apartments offers comfortable rest for the whole family and a friends company. The accommodation of your friends is possible on the additional place (on the folding sofa). Description of the room: When entered the apartment, You would be in a spacious hall, which smoothly proceeds into the drawing room-bedroom. Dainty interior of the room are supplement with refined curtains and original standard lamp. 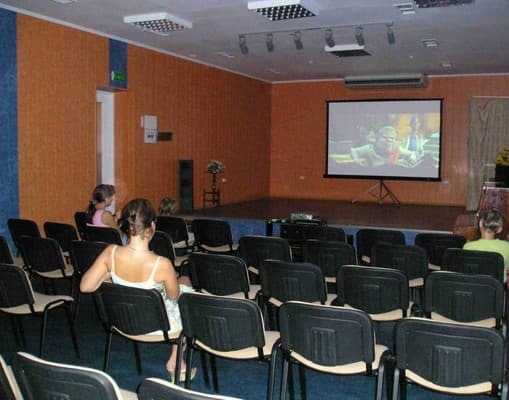 In a company of th TV set the summer evening would pass unnoticeably: To the guests' attention we offer national and international channels, and also the novelty of the health resort - own twenty-four-hour channel Yurmino TV with the great number of documentaries and different animated cartoons. How pleasant is to spend the afternoon rest on the soft sofas in a cosy loggia, which is perfectly combined with the kitchen, where sitting by the comfortable table and drinking a cup of coffee You would be able to accommodate up to 6 pf your friends without any problems. With the interior of the loggia perfectly blends the kitchen set with all the necessary technics and tableware. Extra beds - sofas are available only in double rooms (2 bedroom semi-suites, suites, duplex suites, studios). The additional seats can be placed both children and adults. In the case of hotel accommodation, in addition to the room, when placing people on an extra fee is charged regardless of the number of persons on extra bed - 100 UAH. In the western part of Crimea, on the seaside of the Black Sea from the one side and near Sakskoe salt Lake from the other. The complex has a modern medical-diagnostic center, services of sanatorium-and-spa treatment with the help of the famous Saki mud sulphide muds, brine and mineral waters (Sakskaya and Morshinskaya No. 6) are provided. Treatment profile - gynecological, urological, diseases of the musculoskeletal system, skin diseases, digestion and metabolism, recovery of often ill children and adolescents. 7 treatment and rehabilitation programs and 8 Spa programs have been developed. The hotel is located in the western part of Crimea, on the coast. Need to go in the direction of Saki - Evpatoria, bypassing the check directly to the city on the street. "Yevpatoriyskoe shosse. " Over the railroad crossing to turn left into Morskaya street and go through it 3 more miles until the end of the street until you see the hotel. The hotel is located at the end of the address st. Morskaya 11a.